Feeling Depressed? ALKS 5461: The Fix of the Future? Do you see how ALKS 5461 is put together? Part of it’s about the ‘antidepressant effects’ generated by buprenorphine. And the checks-and-balances are provided by ALKS 33. I ran a poll on Chipur not long ago posing this question: If you had to choose just one method of treatment for your mood or anxiety disorder, what would it be? The choices were meds, psychotherapy, and spirituality. The race was close, but meds led the pack. Being an emotional/mental health professional – more importantly an anxiety/mood disorder vet – I’ve never had an issue with psychotropic medications, as long as there’s a good match between condition and med. Still, psychotherapy and spirituality are important recovery tools that need to be utilized even if one elects to go the meds route. I’m frequently asked if I know of any meds in development addressing the mood and anxiety disorders. So I try to stay up-to-date. Recently I found something I believe you’ll find interesting and encouraging. Alkermes (Dublin, Ireland) has come up with an investigational drug they’re calling ALKS 5461. Sounds so “hush-hush,” don’t you think? If all goes according to plan, ALKS 5461 will be available as an adjunct med, providing relief for treatment resistant depression. By the way, that’s accomplished with abuse and dependence-checked opioid power. Incidentally, Alkermes is the same corporation that developed and markets Vivitrol. It’s the injectable form of naltrexone, primarily used to manage alcohol and opioid dependence. So What is ALKS 5461? ALKS 5461 is actually a two molecule combo. Molecule number one is buprenorphine. Heard of it? It’s a semi-synthetic opioid that’s used to treat opioid addiction, as well as moderate acute and chronic pain in non-opioid-tolerant individuals. Actually, buprenorphine is a partial opioid agonist, so it’s maximal effects are less than full agonists such as heroin. Maybe you know this, but it’s an active ingredient in the medications Suboxone (with naloxone) and the transdermal patch Butrans. “Okay, so wait a minute, I’m going to be taking something that may be addictive for my depression?” Yep! But let’s not forget about ALKS 5461’s second molecule – ALKS 33. ALKS 33, an opioid antagonist, acts as a barrier to the binding of buprenorphine to the receptors that make us feel euphoric. It’s those very receptors that are responsible for the craving of opiates. Do you see how ALKS 5461 is put together? Part of it’s about the “antidepressant effects” generated by buprenorphine. And the checks-and-balances are provided by ALKS 33. So why is everyone getting so excited about ALKS 5461 – an investigational drug? Well, it brought quick relief to all 32 major depressive disordered participants in a blind, placebo controlled study (participants didn’t know if they were taking ALKS 5461 or the infamous sugar-pill). What’s more, all 32 participants had zippo luck with fluoxetine (Prozac) or venlafaxine (Effexor). It seems we’ve established the fact that ALKS 5461 is a potentially game-changing drug for the treatment of depression. Okay, great – how long before we see it on pharmacy shelves? Fact is, we may not. I mean, Alkermes could pull the plug on it anytime if it’s not living up to expectations during the FDA approval process. For now, however, ALKS 5461 is in Phase 2 clinical trials. Um, but it could take seven years before it’s approved. But take heart – the FDA has Fast Track, Breakthrough Therapy, Accelerated Approval, and Priority Review approaches that are intended to make therapeutically important drugs available earlier. So if ALKS 5461 is really “all that,” perhaps we won’t have to wait seven years to give it a go. Well, you may have me there. 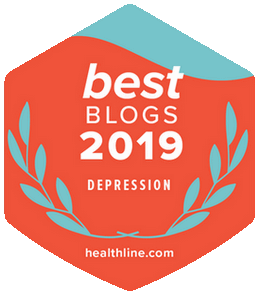 However, you need to not only know the mood and anxiety disorder relief meds in the pipeline – you need to know creative efforts are being made to lend a hand to those enduring depression, anxiety, or bipolar disorder. Feeling depressed? ALKS 5461 may in fact be the fix of the future. 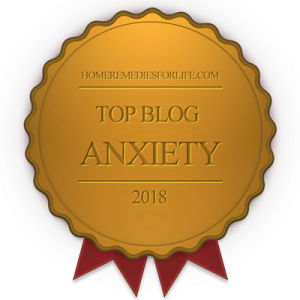 Would you like to read more Chipur mood and anxiety disorder articles? Have at hundreds of titles.